Comments: Through the creative vision of Lucasfilm, Ltd. and the Cartoon Network, the Clone Wars are brought to life in a series of short animated chapters. A unique animation style captures the drama of this epic period in galactic history along with its outstanding heroes and adversaries. Noble Jedi warriors lead clone troopers into battle against the evil Separatist forces and their comrades struggle against the rising power of the dark side and confront personal challenges against a backdrop of war-torn planets. 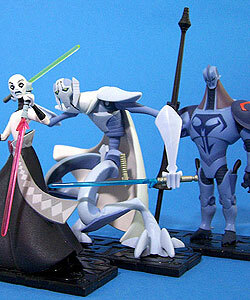 Asajj Ventress was originally released as in the Animated Series line. General Grievous was originally released as in the Animated Series line. 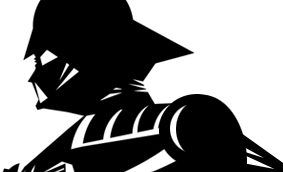 Durge was originally released as in the Animated Series line.